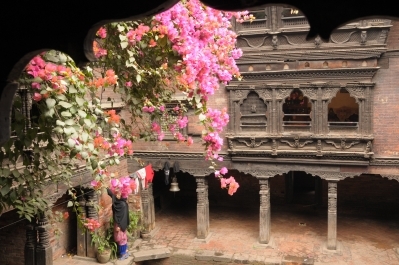 Located on a quiet, traffic-free square, in the middle of the historic town of Bhaktapur, MILLA Guesthouse is a 5 minute walk from the World Heritage Site of Dattatraya Square. 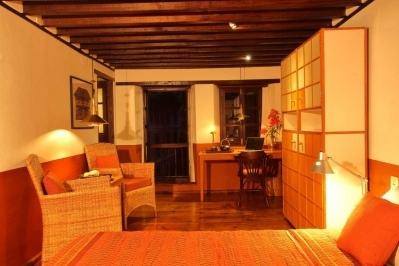 As a home-away-from home refuge, the guesthouse has been designed by Götz Hagmüller, the architect of the Patan Museum and the Garden of Dreams in Kathmandu. Balancing modern and traditional architecture, it is built in brick with wooden ceilings, timber floors in the bedrooms and with terracotta tile-floors in the rest of the house. The guesthouse has four double-rooms with attached bathroom, two with balcony, one room with a sofa-bed can accommodate an additions person. Complementary breakfast, free Wifi, solar-voltaic electricity, solar hot-water, gas-room-heating during the cold season. 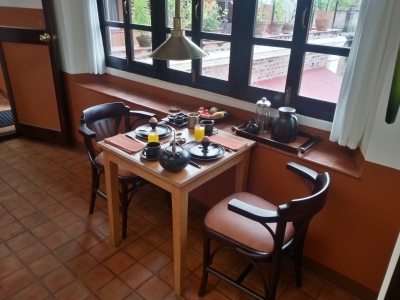 Guests can enjoy a sitting/breakfast rooms with terrace and kitchen on the top floor.